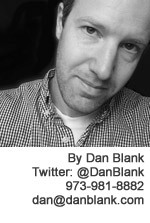 This week, I watched a documentary about ordinary people who did an extraordinary thing. They didn’t have much money, they didn’t have great connections, they didn’t have a particular expertise above anyone else in their field, but they had passion. And with that, they amassed an important collection of modern art, and became celebrities in the art world. The documentary was “Herb & Dorothy,” and it told the story of Herb & Dorothy Vogel, who spent the past 50 years collecting artwork in New York City. The crux of the story is that they ended up with a multimillion dollar collection on the salary of a postal worker and librarian – that these two unassuming people infiltrated the art world. But there is so much more to it than that. 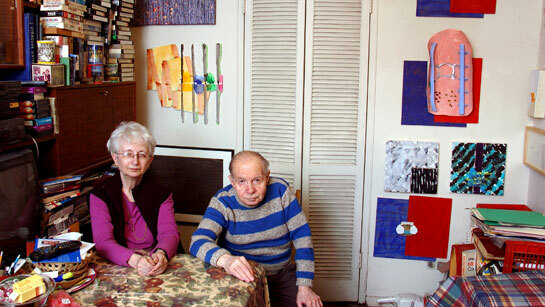 Herb and Dorothy lived in a small, 1-bedroom rent stabilized apartment, and for half a century, they devoted their lives to the art world. Not to gaming it, not to studying it, but to EXPERIENCING it. Primarily, they became friends with artists – they collected people as much as they collected artwork, evidently. They didn’t have children, they didn’t have much of anything, except for art. But it wasn’t about just the work itself, they were participants in the art culture. They met everyone, saw everything, and tracked an artist’s work as it evolved. They became a part of the process. They never sold any of the nearly 5,000 pieces they collected, and eventually gave most of it away to museums. When the National Gallery of Art gave them a small stipend to live on – pay medical bills, the rent, etc – they instead used it to buy more art. Sometimes, doing something extraordinary is an act of simple dedication and stamina, not sweeping and dramatic moments. There is opportunity outside of trends. Herb & Dorothy never participated in financial art booms, they focused on what they loved and took a long term view of it all. Traditional limits (finance, connections) can be overcome in the most simple of ways. Herb & Dorothy negotiated their way to not just possess objects, but to create powerful connections and friendships, which somehow lead to the creation of their collection. Many who learn of Herb & Dorothy’s story will think: “I can do that.” And yet, 99.9% of the world will never do anything remotely close to what they did. Herb & Dorothy are an incredible example of how you don’t always need a brilliant idea to succeed, just uncompromising execution.